The population of America is aging. In the U.S., one in every six people will be over the age 65 by the year 2020. Regardless of age, what senior citizens want is to remain independent. But in order to live independently, seniors need help – a lot of help. So much so, that one in every three adults between the ages of 35 and 54 has provided hands-on help for family members or friends needing long-term care. Most of the adult “helpers” in this age range work and may be raising families. Often, a senior citizen will need help in downsizing their home. Many seniors need to trade their now too-large home for a smaller place, but the hassles and complexities of moving can be overwhelming. Seniors themselves are unable to handle all of the complexities of downsizing and often request the assistance of their children. The 49 percent of children who can provide care themselves often arrive late to work, leave early, and take time off both during the day and for whole days. In 1997, Metropolitan Life Insurance Company did a survey of lost employee productivity related to senior care needs, which it “conservatively estimated” to be at $11.4 billion a year. Professional Movers.com senior moving services are the answer to lost employee productivity. 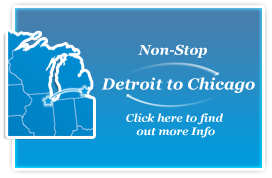 We employ a one-stop, totally turnkey approach that no other moving company in Michigan currently offers. We execute every aspect of the senior downsizing experience, not only by providing moving personnel and trucks, but also a caring, compassionate staff to accomplish the myriad of tasks needed to transition a senior into a new home. Below you will find a case study identifying the time a family member must commit to helping a senior family member prepare and complete a move. In the case study we compare a family member’s time to the time of one of our Certified Senior Moving Consultants. As you study the above chart you will see a realistic saving in time and money by working with Professional Movers.com. Based on the fact that an inexperienced family member would need to take additional time off work and need to dedicate resources to ensure all the proper planning and work is accomplished. Our Certified Senior Moving Consultants specialize in assisting older adults and their families with the emotional and physical aspects of relocation and/or “aging in place.” Our Certified Senior Moving Consultants have backgrounds in working with seniors and their families in facilitating a successful move. We apply our knowledge of project management, technology, moving experience, and affiliate resources to reduce the overall planning period. If you are still unsure but would like to begin exploring the possibility of working with Professional Movers.com on your next senior relocation, contact us at 248-926-9999. One of our Certified Senior Moving Consultants would be happy to discuss your options and answer any of your questions.